A little while ago I was talking to an owner of a sectional title management business. We’ll name this guy ‘John’ for the preservation of his identity. He acknowledged that his increasing involvement within the day-to-day functions of the business had made it difficult for him to focus on the strategic and managerial needs of the business, and whilst this was ok in the short term it was not really where John wanted to be. Recognising this, John formulated an action plan to return to a position where he feels, as the business owner, he can contribute the highest value input into the business and appropriately manage the growth and direction of the business. Sadly I’m sure we’ve all too often heard the term ‘work smarter, not harder’ and countering that phrase “I’m too busy to …[insert the challenge that benefits from change]”. Of course this is not a unique issue within the sectional title management industry – it has application to both our work and social lives as well. Often a catalyst is required to motivate change. This can come in a number of formats such as dissatisfied clients or staff, loss of friends or family, financial or emotional stress to name a few. Looking specifically within the sectional title management industry, there are a number of functions that must be carried out by every body corporate manager (issuing levies and receipts, processing accounts payable, preparing for and attending AGMs etc.). The difference between having more time to focus on growth and direction of the business and simply running like a mouse on the proverbial treadmill could simply come down to one or more key work flow processes. In addition, the service levels provided to clients (perceived or real) will diminish – multiple emails and phone calls may abound on the same issue, consuming yet more time that does not exist. Whilst Mystrata does not profess to hold all the answers, as the technology leaders within the sectional title management industry, we have a number of existing and emerging features that will enable body corporate managers to work smarter, not harder. I cannot altogether agree with Mike’s comments. There are many problems that can arise from day to day. The Trustees (or those of them who are resident in the scheme) are on the spot, and in a position the deal with anything that merits immediate attention. The Trustees also remain responsible to the BC for managing the scheme, and a part of this responsibility is to manage the performance of the MA. 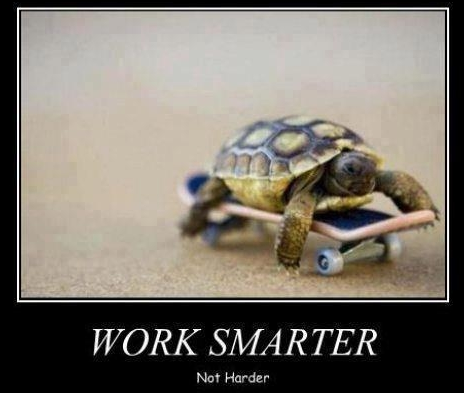 Your comments on working smarter, not harder, remind me of an old story. A man walking through a wood one day came across a woodcutter. The latter was cutting down a tree. He was working hard, panting and sweating, and making little progress. The man asked him what the problem was. “My axe is blunt”, he answered. “So why not sharpen it?” the man asked. “No time,” panted the woodcutter, “Got to get this job finished first”. @ Mark ….Brilliant comment! I’d like to add my 2 cents. Trustees meetings should be more frequent than 3 monthly .. bi-monthly would be better for staying on top of things. Managing agents should not attend the meetings other than to take minutes. I’ve seen too many situations where managing agents make decisions and in fact over-rule trustees and members saying, they refuse to accept XYZ and it’s their way or the high way. I think it would be a great idea, if somehow a BC could change it’s management rules to compel members to attend a 1 hour seminar on 20 basic yet important responsibilities of ST ownership. Maybe even force buyers to attend 1 hr course as mandatory before title transfer. A certificate to say they attended .. much the same as seller has to supply clearance cert could be issued and be required as part of conveyncy documentation. It could be even be called, BKC = Buyer Knowledge Clearance cert. Fact is, most people buy into ST without having any idea as to what it’s all about. Here, I blame real-estate agents for this. Maybe it should be part of the real estate mandatory disclosures forms. Somebody has to start taking responsibility for number of properties sold to ignorant buyers who haven’t a clue of the fact that they are buying into a scheme and that with their purchase comes the house they live in. i.e roof over head. As things stand today, it’s the opposite.. buyers believe getting into a scheme means, you get a house and all maintenance, insurance, up- keep is taken care of. For the life of me, I cannot understand how anyone can make the largest purchase in their lives without demanding knowledge of it. How sad that people show greater interest in spec’s, performance, history, liabilities, durability of a car than in their life long commitment to the roof over their heads. Hmmm? One of the biggest time wasters are Trustees who think that they are helping and hold frequent in house “ad-hoc” meetings and then send emails to everyone of the Trustees who in tern send each other (and the managing agent) their thoughts – ad infinitum! The managing agent does not know if or when he is supposed to react to these emails, whether he should read them and is not in a position to give professional advice. A good managing agent should be able to handle the day to day running of a body corporate with occasional notification by the Trustees when they note something that needs attention. Trustees meetings should be held every three months at which the managing agent reports on the finances, what has been done that was asked for in the previous meeting and brings to the attention of the Trustees problem areas, if any, and what the solution is. Trustees in turn should ensure that the finances are acceptable, that what has been asked for has been done and inform the Trustees about any problems that they are experiencing. Most of our Trustees meetings last from 15 to 30 minutes. After each meeting a newsletter is created for owners and another for occupants. No decisions should be taken between meetings that are not minuted. This entry was posted on June 17, 2014 by Paddocks in Financial, Inspiration, management and tagged best property management software, best sectional title management software, mystrata, Paddocks, property management software south africa, sectional title management, sectional title management software.